A 68-year-old man was recently arrested for a suspected drunk driving incident in Huntington Beach that resulted in fatal injuries. According to Huntington Beach Independent, the crash occurred at 8:35 pm when the suspect’s vehicle collided with a motorcycle. The suspect was traveling north on Goldenwest Street when his vehicle collided with a motorcycle traveling south on the same road. The 24-year-old male driver of the motorcycle broke both legs and his 25-year-old female passenger sustained fatal injuries. She was treated at UC Irvine Medical Center before she died. The suspect was not injured in the accident. He was arrested for suspected driving under the influence (DUI) causing injury and posted bail of $100,000. 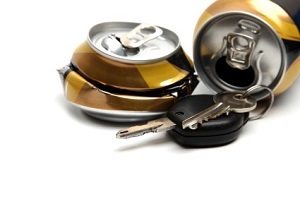 DUI accidents in Huntington Beach can result in eligibility for a felony charge when a crash leads to injury or death. A felony DUI conviction can result in serious penalties, such as an extended prison sentence, heavy fines, and the long term loss of driver’s license. If you or someone you love faces a drunk driving charge, Huntington Beach DUI defense attorney Joseph H. Low IV is dedicated to protecting the rights of those accused of this crime. He works hard for every client to reduce charges, persuade the prosecution to agree to a lesser sentence, or negotiate for a dismissal. Please call (888) 454-5569 for a free and confidential consultation about your legal options.